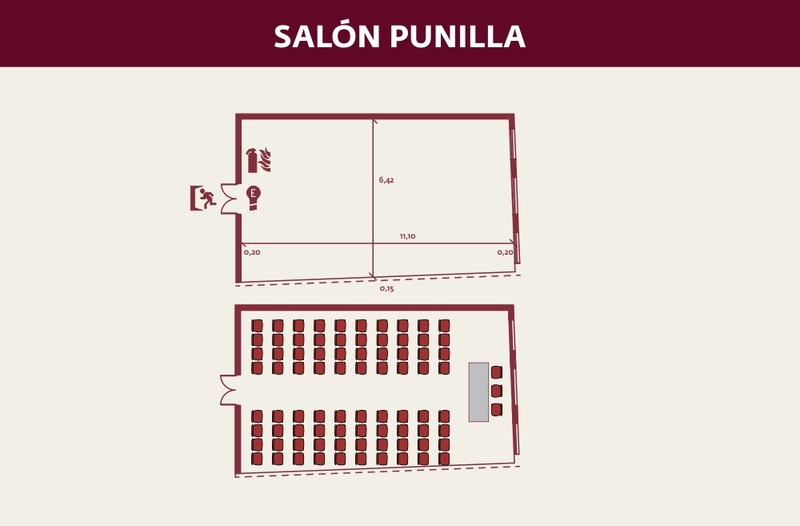 The Punilla Hall has an independent access through the Convention Center, located on Marcelo T. de Alvear street. With a modern and dynamic design, the Punilla Hall is perfect for all kinds of business events. 50 people capacity (round tables). 23 people capacity (U-type tables). 30 people capacity (classroom table). 20 people capacity (Directory table).